The Harlingen community cast their ballots in favor of a proposed adjustment to the tax rates that fund their schools by approving to pass the Tax Ratification for the Harlingen Consolidated Independent School District on September 12th. The newly approved tax rate will generate approximately $5.8 million in state funds and another $4.2 million in local funds, bringing the annual total to $10 million. These additional funds will allow the district to address facility needs through replacements and upgrades without incurring debt. The tax rate adjustment will increase the Maintenance & Operations rate (M&O) and decrease the Interest and Sinking rate (I&S). The new M&O tax rate will be $1.17, and the new I&S rate will be $.148 for a total tax rate of $1.318. The M&O funds the maintenance and operations of schools, and the I&S pays for any bond debt that may have been issued to fund the construction of schools and facilities. In May, HCISD saved over $8 million by refinancing a portion of their long-term school bonds, which resulted in an estimated decrease of $.3 in the I&S fund. In return, the district will redirect these savings to the M&O through the approved tax ratification. In the general election, voters will have a chance to further reduce their property taxes when a constitutional amendment is up for election. If passed, this amendment will increase the homestead exemption from $15,000 to $25,000, thus reducing the taxable property value to the homeowner. The increase will be $.10 for every $100 in taxable property value. For a homeowner whose house is valued at $93,260, the average home value in Harlingen, this equates to an increase of $6.51/month or $77.08/year. If the homestead exemption is passed, the average homeowner will see a savings of $53.72/year. 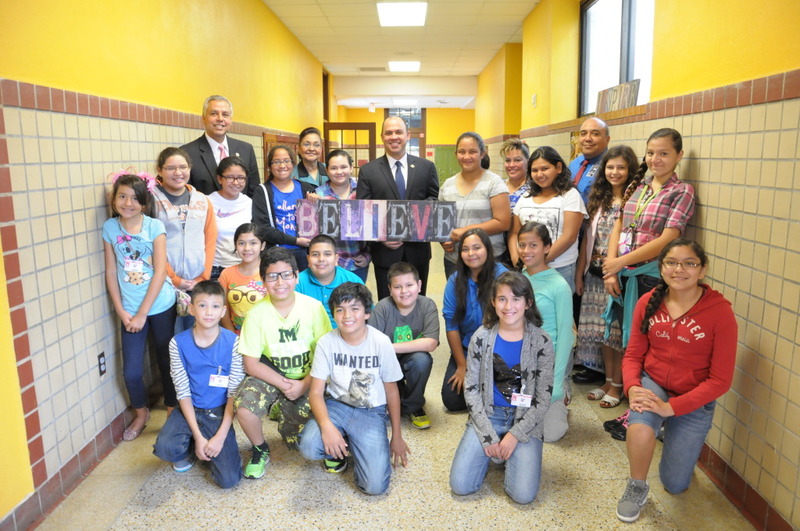 To read Superintendent Dr. Art Cavazos’ message to the community click here.